Lucknow: It did not take long for Samajwadi Party supremo Mulayam Singh Yadav to end the family feud by revoking the expulsion notice served on Uttar Pradesh Chief Minister and his son Akhilesh Yadav and SP general secretary Ram Gopal Yadav today. 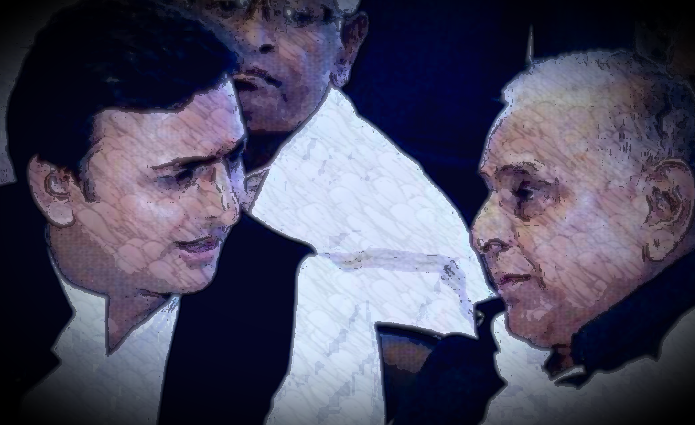 Less than 24 hours ago on 30 January, Mulayam had announced that expulsion notices had been served to Akhilesh Yadav and Ram Gopal Yadav. State SP president Shivpal Singh Yadav made this announcement through his Twitter handle.